Ever run a giveaway on Instagram and then wonder how to best select a winner from the comments and keep it legit? Look no further than Pickerist. 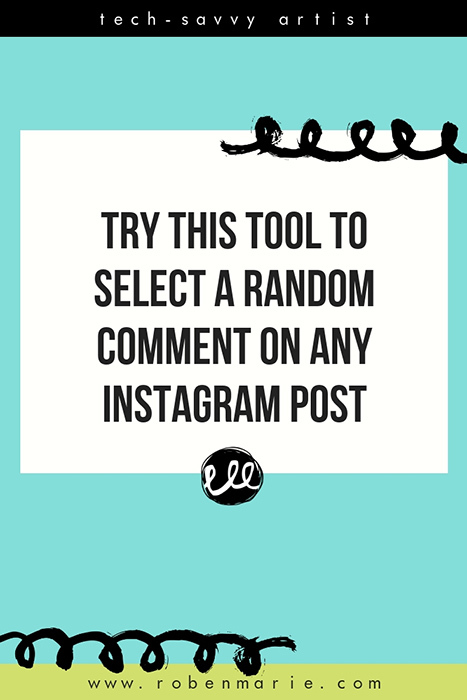 This handy tool will easily select a random winner comment from any Instagram post and it’s free to use for up to 100 comments. Have more comments? No worries…it is only $1.99 for the pro plan. Interested in more tech help? Have you heard of Maker’s Tech U? It’s my membership community for artists and makers. Maker's Tech U will help you breakdown the tech roadblocks that are holding you back, gain confidence in your abilities so you can spend more time focused on your passion.